Storytellers are artists and, as such, each of you has a unique point of view on the world, shaped by your experiences and your beliefs. You have something to say; something audiences need to hear. Find the message that you as a writer are most moved by, that speaks to you on a deep level, that draws on what you believe is important in life, and you will move an audience. Personal Thematic should reflect your deeply held convictions. Examining themes is a bit of a Rorschach test. 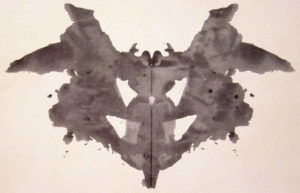 Just as different things stand out in the inkblots to different viewers, the theme of a story that speaks to one person may differ for another. What resonates most strongly is interpreted through the lens of our personal experience. In my Big Ideas Seminars, I work with students to help them identify their Personal Thematic through an exercise I call “Forever Films” as a key tool to empower them to create strong, successful stories. They receive an Advance Assignment to choose three “Forever Films,” answer questions about them, and then pitch and discuss them i class. Tell us the first titles that spring to mind – No Censoring! You’ve watched these a jillion times. Nevertheless, if you’re flipping channels on TV and come across it, no matter what point it is in the movie you will definitely stop and watch and enjoy the heck out of it. Take this to heart! Don’t overthink your choices or imagine anyone judging them. Yes, once you’ve landed on one of your Forever Films while channel surfing, you find yourself stuck, and must watch it to the end. Ultimately, students are amazed by how much they learn about themselves from the Forever Films exercise. After having them pitch me their three films, and writing down the words they choose to convey the story, I’m often able to show them that three films with seemingly nothing in common on the surface, from different time periods, different genres and seemingly substantially different plots, actually express the same theme – one that is very meaningful to them. It’s like reading tea leaves – the writers are astonished. When this exercise strikes a chord, I see not only the “ah-ha” moment on my students’ faces, but often tears welling up in their eyes. They have uncovered the message that holds the most meaning for them, the philosophy of life that is most resonant for them, pointing to their Personal Thematic. This essential self-knowledge can power their writing going forward. Most importantly, it helps writers take a big step forward from focusing on the craft of writing to mastering the art of storytelling. If you are a parent, ask yourself, if your child were about to leave home forever, and you could give them only one single piece of advice before sending them off into the world, what would that be? What are your “Comfort Food” stories? What book, movie, song, or even anecdote always makes you feel better? Whether it’s mac n’ cheese, chocolate, or ice cream, we all have a food – or foods – that make us mysteriously soothes us. My theory is that they are comforting because they remind us of a time in our lives when all seemed right with the world. That’s what we are looking for in theme. When you have a Comfort Food Story, you have a big clue as to what is meaningful to you. If you have three Forever Films or Books, and can’t see a connection, ask yourself this: “What is the big problem that pushes the hero forward?” Write this down in the simplest way possible. The broad strokes, not the specifics. “The hero is an intellectual forced to take action.” That’s just about every movie Harrison Ford has chosen to make since he didn’t have to wait to be chosen as an actor. “The hero is a good man who finds himself working for a corrupt organization and must bring it down from the inside.” Any guesses as to which movie star chooses this role again and again? Even Jerry Maguire and Mission Impossible fit this pattern if you think about it. It’s the resonant theme of the struggle between the outnumbered insider fighting for justice that speaks to Tom, as can be clearly seen from these film roles in a variety of genres, time periods, and settings. We are all drawn to telling stories with a core concept that speaks to us. When you have taken this journey of self-discovery as a writer, you can elevate your work. 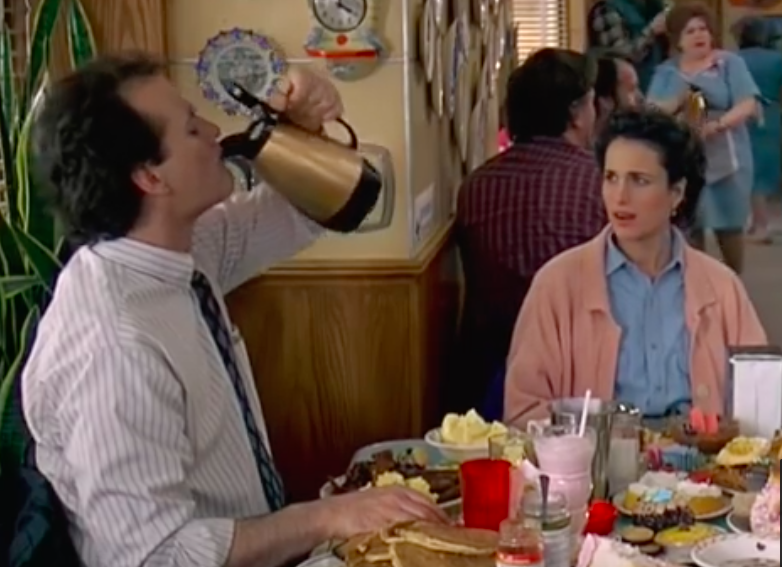 One of my current Forever Films – yes your list may change over the course of you life – is Groundhog Day. Its theme is centered on what it means to live a meaningful life. This is the lesson that the Bill Murray character, after years – if not decades – of living the same day over and over again, finally masters. Ultimately, the self-involved weatherman realizes that the path to a meaningful life lies in being other-directed. He is only able to find happiness, get the girl, and break the time loop when he finally truly cares about the lives and needs of others, rather than putting his own desires first. This message speaks to me. I have found deep satisfaction in life through founding a children’s literacy nonprofit, bringing books to kids in need and creating volunteer opportunities for friends, family and colleagues. But when it comes to my Personal Thematic, I also hear something else – “Great change is possible.” While this is not necessarily the primary message of the movie, it speaks to me on a deep level. And that makes it valid. You can’t create stories that impact and resonate with audiences until you explore what powerfully moves you. Discovering your Personal Thematic is an essential step in your development as a storyteller. It can power your writing by guiding your choices at every juncture of the writing process. It makes your stories engaging. It ensures your story is unique. It can prove you are a writer with a distinctive voice, the ultimate way to draw industry interest to your work. Try the Forever Films exercise, and let me know what you discover in the comments below.